I have this little daughter Emily. She is small and very funny. 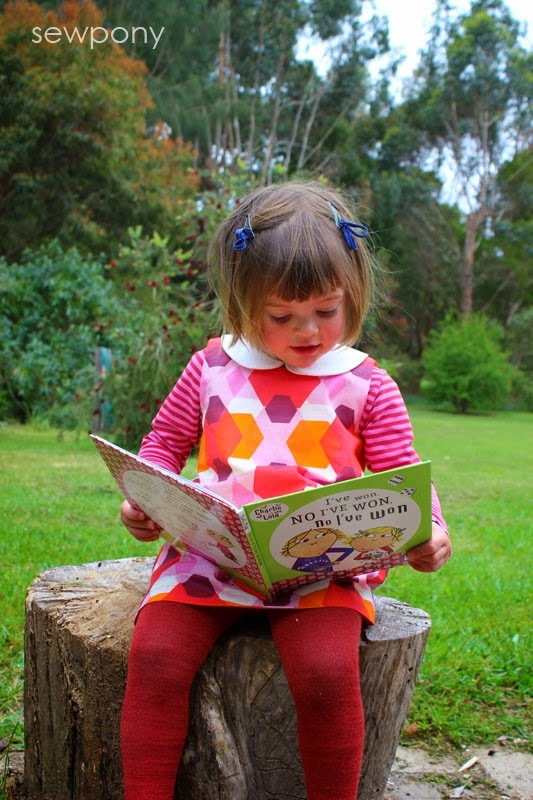 My second piece of clothing I made this week as part of the Storybook theme of Kids' Clothes Week is a (Charlie &) Lola dress. You can see my first KCW dress here. 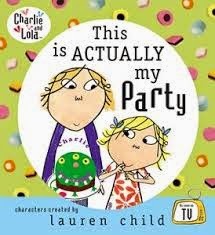 Emily absolutely loves Charlie and Lola (written and illustrated by Lauren Child). And although Emily is two and half and I expect Lola is about five, Emily reminds me a lot of Lola. She is small and she is very funny. I have fostered Emily's love of Lola in particular because she my absolute favourite and my best. If you are not familiar with these books (and now televeision program - soooooo cute!!!!) you definitely need to get on board. 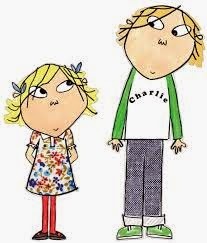 I will admit that Emily was introduced to Charlie and Lola via ABC for kids at 8.00am. A short 10 minute cartoon that is oh so sweet and innocent. I love it just as much as her. 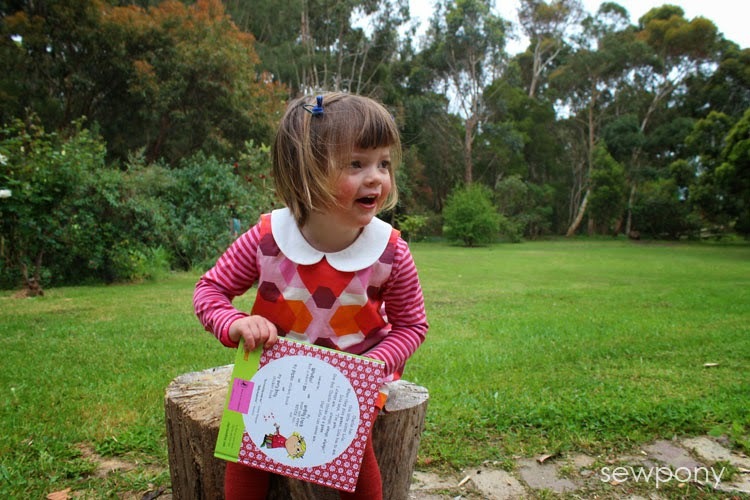 We have since got her some books which she also loves and I have been telling her for a couple of weeks that I would be making her a "Lola" dress. I kept an eye out for "Lolaesque" fabric and found this fun geometric print at my local fabric store. 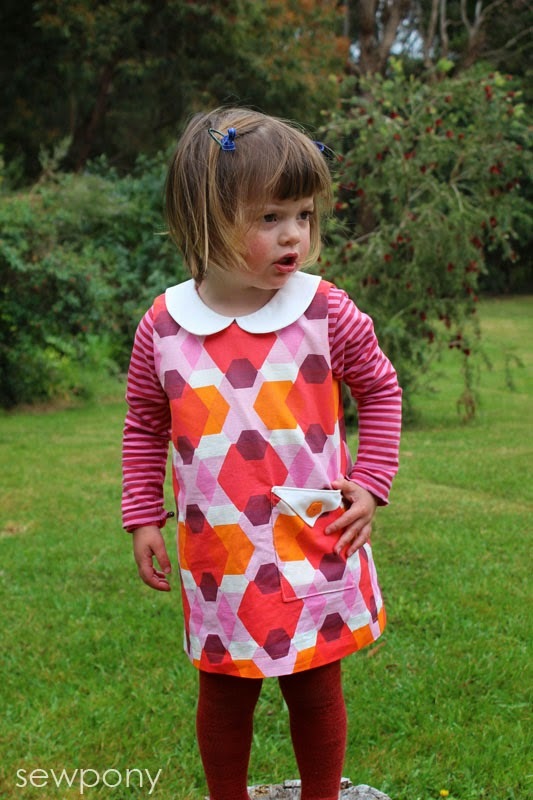 Lola generally wears a classic A-line dress with tights and little shoes. You can read my pattern and fabric details at the end of this post. Guess what? 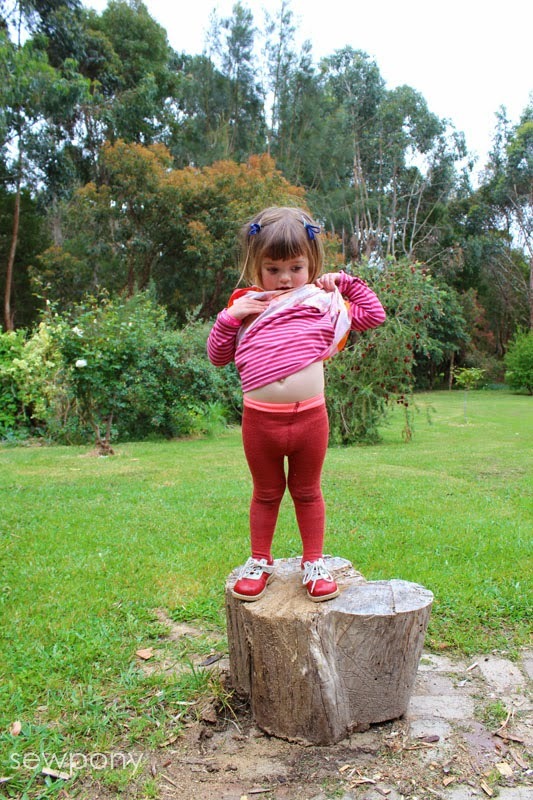 My friend Marta from Do Guincho has also sewn up Lola inspired dress for her eldest daughter Teresa. Want to see? Click here! Do you love Lola too? So cute! 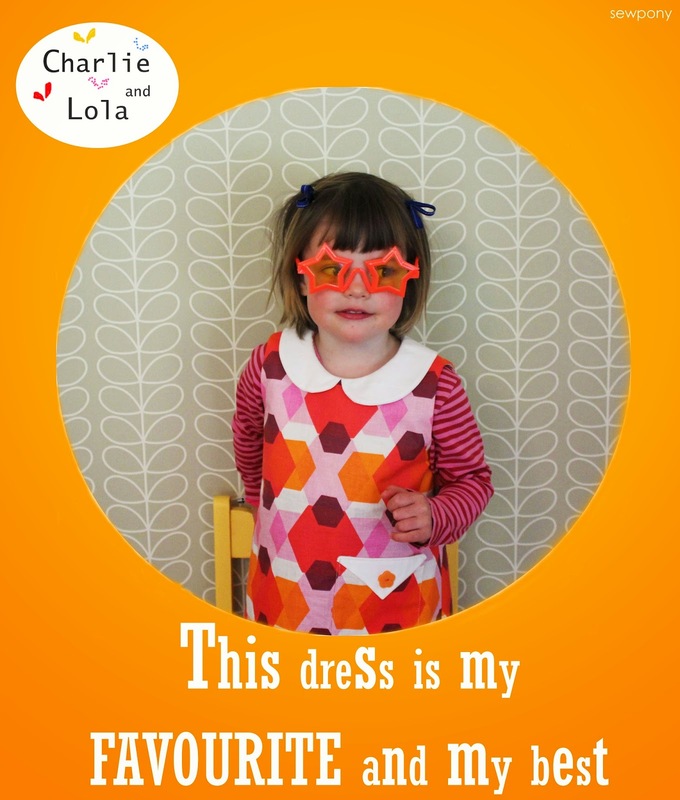 The Charlie and Lola shows are very sweet, and I love the dress. I made a Hanami dress in the same print earlier this year. 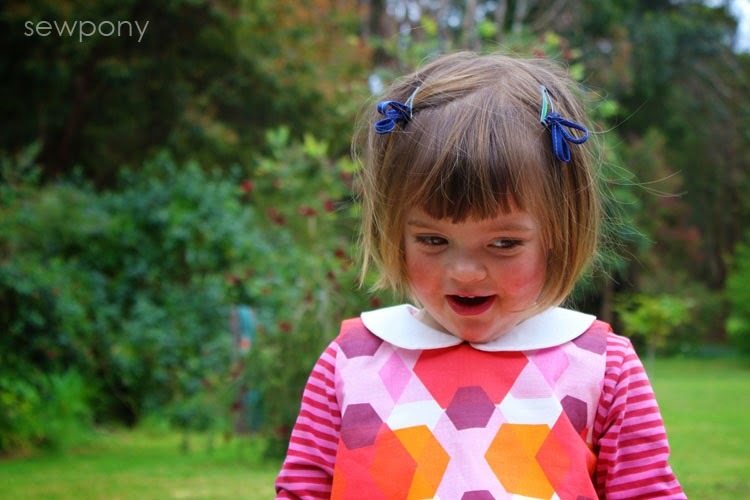 Emily is such a gorgeous little girl :) Her new dress is super! Love the pocket. Yes, Iove Lola too! Beautiful and an explosion of color! OMG, Suz, this is sooo cute!! Too cute! Love the colourful fabric. OM, those are gorgeous! And what a collar on the green dress! She is the cutest!! I love this little Lola dress. And those shoes - what a find!